In stock -This product will ship today if ordered within the next 1 hours and 0 minutes. 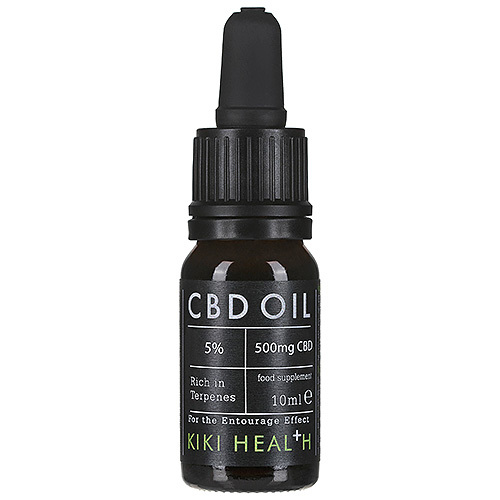 KIKI Health’s CBD Oil is a highly concentrated formula which contains 5% pure CBD. The oil has been extracted only from the tops of the fresh hemp plants ensuring total effectiveness, and then mixed 1:1 with hemp seed oil. In addition to the high CBD content, the oil also contains CBG, CBN, CBC, terpenes and terenoids. KIKI CBD oil uses whole plant extract, specifically chosen for its high CBD content which is critical in giving you the best Entourage Effect between Cannabinoids & Terpenes. Using a CO2 process to extract omits degrading and optimises the oil quality. No additives, preservatives or fillers are used and all are third party tested. KIKI Health was born out of a desire to promote optimum health & well being. The product diversity is based on the overall power to cleanse, detoxify, heal & nourish. The brand encompasses a range from green superfoods to natural beauty products. All KIKI products are either organic or wild crafted. Bottle size - 10ml: Approx 200 drops. Each drop contains approx 2.5mg CBD per drop. Hemp seed oil, CBD (Cannabidiol) full plant extract. Put 2-3 drops under the tongue 3 times a day. Swallow after 90 seconds. Do not exceed 20 drops per day/in a 24 hour period. Store in room temperature in the dark. Do not use during pregnancy or breastfeeding. 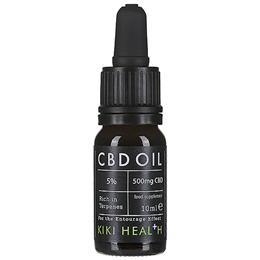 Below are reviews of KIKI Health CBD Oil 5% - 10ml by bodykind customers. If you have tried this product we'd love to hear what you think so please leave a review. Really helped take the edge off my anxiety. Definitely follow the instructions of leaving it under the tongue for about 90 seconds. It's helped a lot.